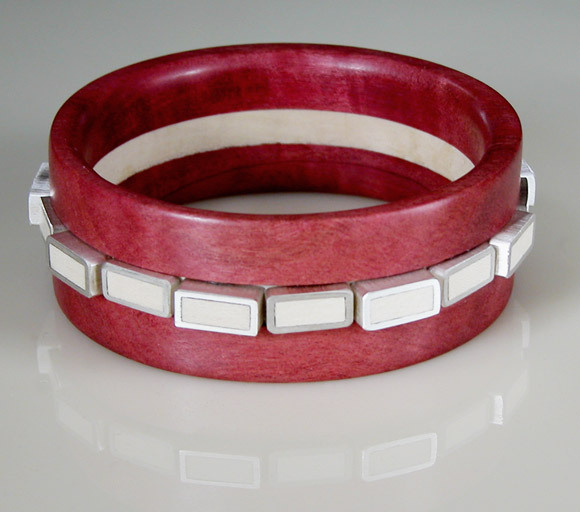 Materials: Pink Ivory, with sterling silver, Ebony, and/or White Holly accents and details. 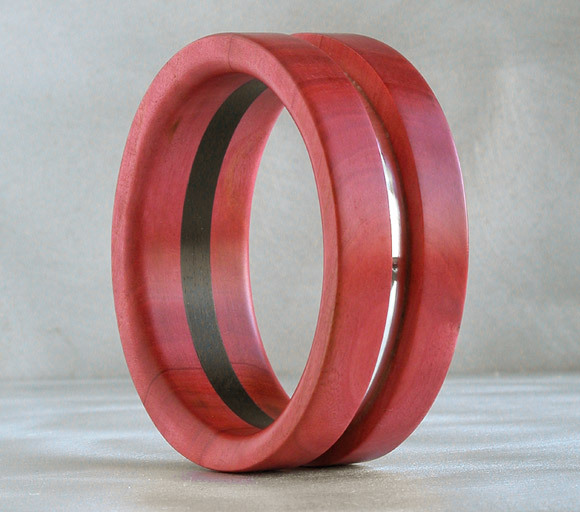 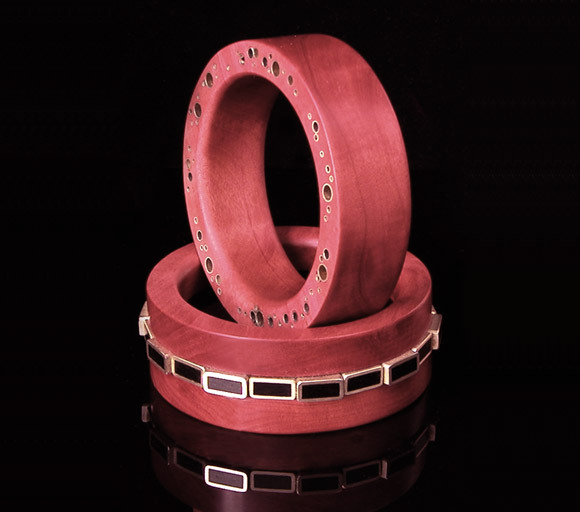 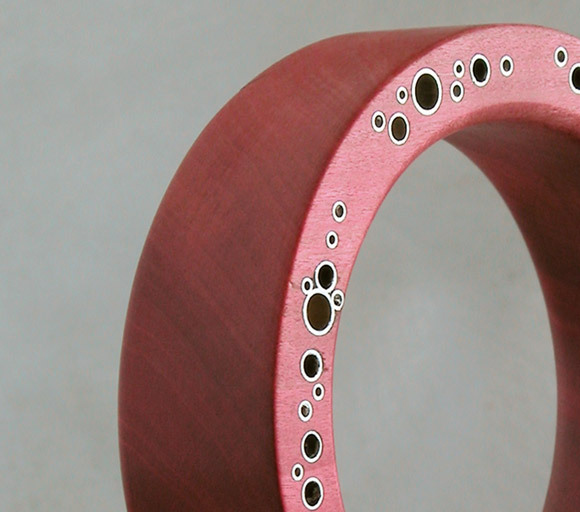 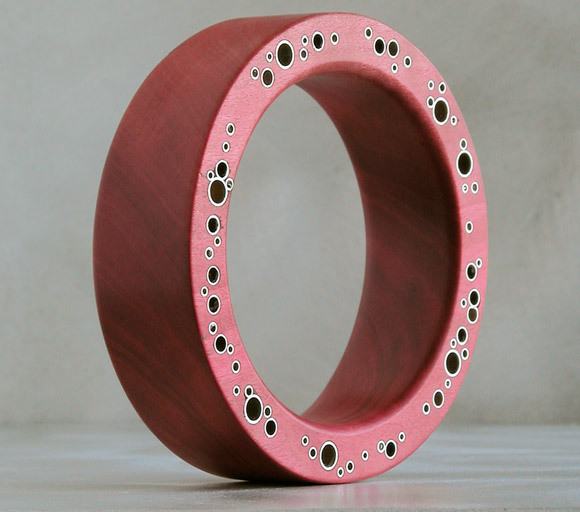 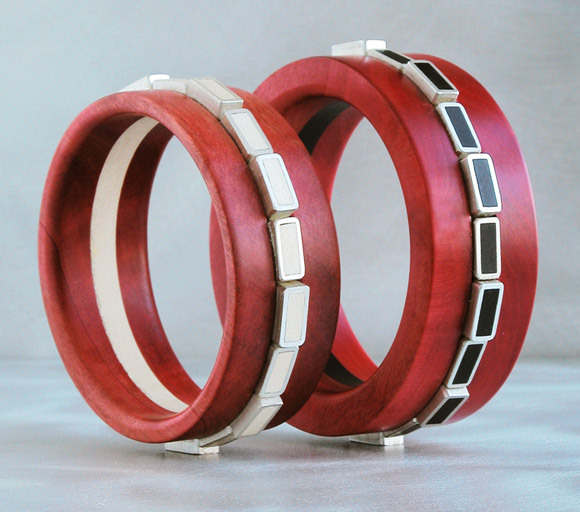 Hand-made from solid Pink Ivory, one of the rarest woods in the world, these bangles have an oil-rubbed finish that guarantees a perfectly smooth touch. 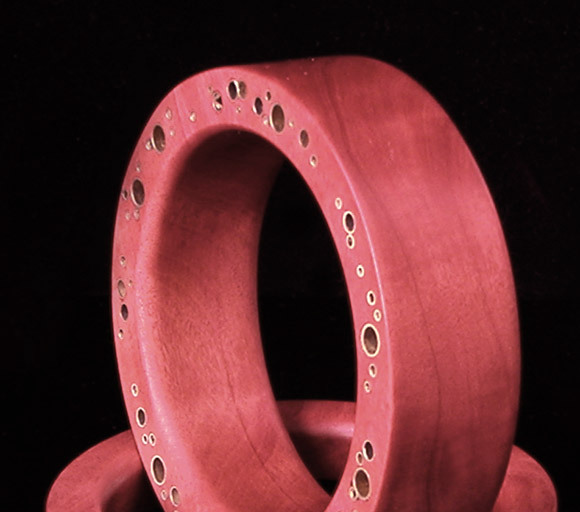 Pink Ivory wood is prized for its unique rosy color, a hue that exists naturally, without the addition of any stains or artifical colors. 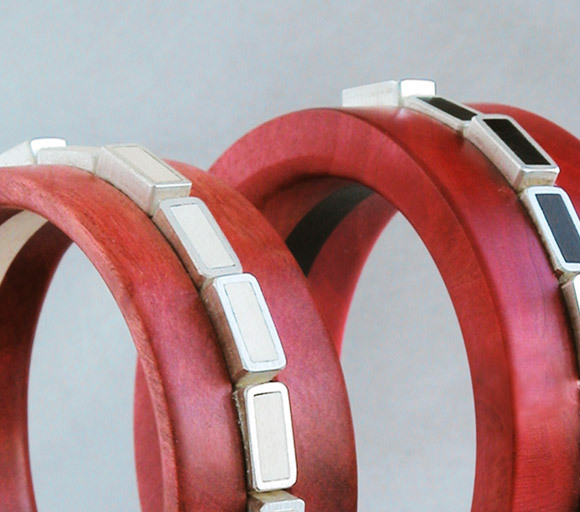 Part of the Precious Woods series. 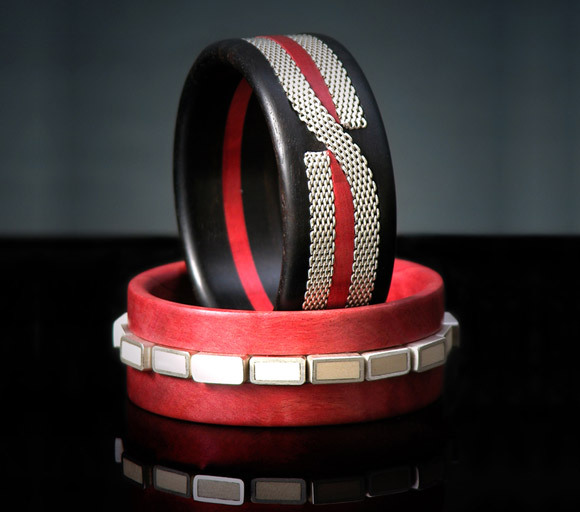 For other styles in this series, see also the White Holly Bangles and Ebony Bangles.